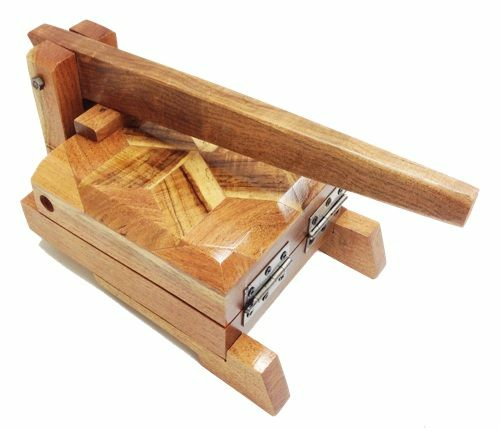 Tortilla Press - Tortilladora de Madera Barnizada / Mezquite Tortilla Press - 7 3/16" x 8 1/4"7 3/16" x 8 1/4"
Tortilla Press - Tortilladora de Madera Barnizada / Tortilla Press - Press Size is 7 3/16" x 8 1/4"
Mesquite Tortilla press is made out of hard, beautiful hard wood decorations that is very easy to clean and doesn't absorb and stain like pine wood presses. It allows you to flatten balls of dough into thin larger tortillas. So even if you don't like making tortillas, the press will make a wonderful conversation/ display piece in your kitchen. Tortilladora de Madera Barnizada esta hecha de Madera de Madera dura y bonita que es facil de limpiar, no absorbe ni se mancha como las tortilladoras de Madera de pino. Te permite apachurrar bolas de masa y hacer tortillas mas largas y delgadas que las normales. Asi que si no te gusta hacer tortillas, la Tortilladora de Madera Barnizada sera una maravillosa pieza de conversacion/decoracion. works wonderfully. super smooth. perfect for a newlywed couples gift. Will last a lifetime. This is a very nice, heavy duty, quality press that won't disappoint. My sister damaged her hands and I know this will be a perfect gift to help her making deliciousness again - I only hope she can mail me some empanadas!! This press is what you need if you want large tortillas de maiz. Does a bang up job of pressing your masa, but the construction and overall quality is bordering on the marginal. The two faces of the press are a little rough, someday I'll have to put a power sander to it to smooth it out and even the surface. Secondly, I'm not too crazy about the hardware used to put this thing together. Again, someday (probably when the hardware fails) I'll replace it will high quality hinges and bolts available at my local big box home improvement store. Love this and wanted it for some time and finally ordered it. Love it and it works great. ProsBig surface for pressing your tortillas. ConsNone, other than sometimes they do not have this item in stock! Awesome for tortillas, I also love to make giant hamburger patties. Use two sheets of parchment paper for each patty. Be careful not to put too much pressure, it isn't needed. Don't forget to rotate patty for that nice even round burger. ProsVery sturdy, it just takes a few times using it before you have the confidence it won't break. Over two years and never a problem. It is a breeze to clean. ENJOY! Worth the money, our homemade tortillas are GREAT! The press gives a little when you bring down the arm and looks like it might fall apart or wear out, but it's the way it's designed. Our Tortillas are TASTY! I can't tell you how delighted I am with this tortilla press. I looked at the cast iron 8 inch presses but the reviews warned of uneven pressing. 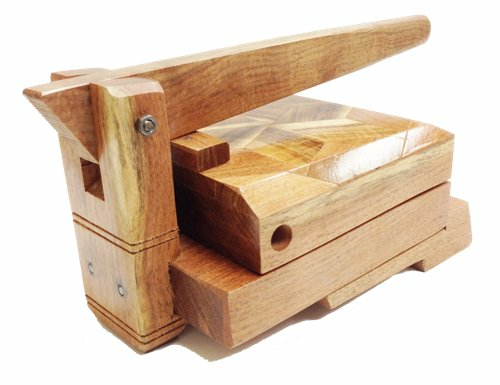 this press is very easy to use, makes large size tortillas of even thickness and is very fast. moreover, it is a beautiful looking product and a great addition to the mexican kitchen. We use this press to make 500 tortillas a day, and we think it's the best one out there. The hardware does wear out, but the screws are easy enough to replace. 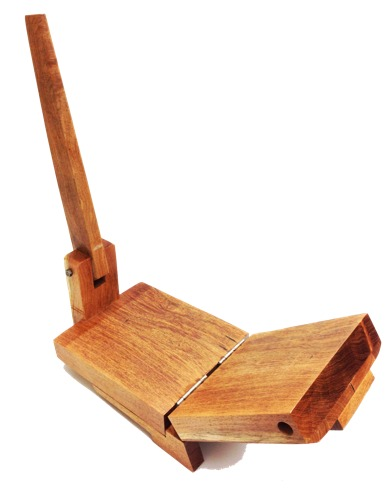 The press is heavy duty and easy to use. Very heavy and nice. Hardware is kind of junky though.